Atlanta fleas and ticks not only make you and your pets miserable, they also carry diseases. Our flea and tick control treatments can minimize these pests in your yard. April to October is prime flea and tick time for Atlanta lawns. The two most common fleas in Atlanta are the dog flea and the cat flea. The cat flea got its name because of its long hairs resembling cat whiskers. The dog flea got its name by default. Both fleas feed on dogs, cats and humans. The three most common ticks in the Atlanta area are the deer tick, the brown dog tick and the cat tick. Though each prefers to feed on its namesake, dogs, cats, and humans are vulnerable to all three of them. Besides making you or your pets miserable, ticks carry a variety of diseases, some of which can be transmitted to you and your pets. 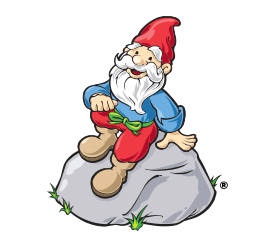 Gnomes recommend our monthly warm-weather insecticide treatments. We’ll spray your grass and wooded areas with an insecticide that not only kills fleas and ticks but is also safe for your lawn. If you have a flea or tick control problem, protect your loved ones by calling us today at 770-447-6037.